Spongebob Squarepants may be a cartoon show for kids (and kids at heart) but it doesn’t mean that the lines each character say are not true. As a matter of fact, there are plenty of instances wherein the show hits hard at reality through witty sarcasm. If you are one of those people who enjoyed watching Spongebob Squarepants during your childhood, you will find the quotes featured here make perfect sense. Share one of these quotes to your friends to remind them that even though life is hard, they will find a good advice from fictional friends who live in Bikini Bottom. Always follow your heart unless your heart is bad with directions. You’ll never get what you want if you always let other people step on you. With imagination, you can be anything you want. If you believe in yourself, and with a tiny inch of magic, all your dreams can come true. It’s not always what you say that matters. Sometimes, it’s what you don’t say. 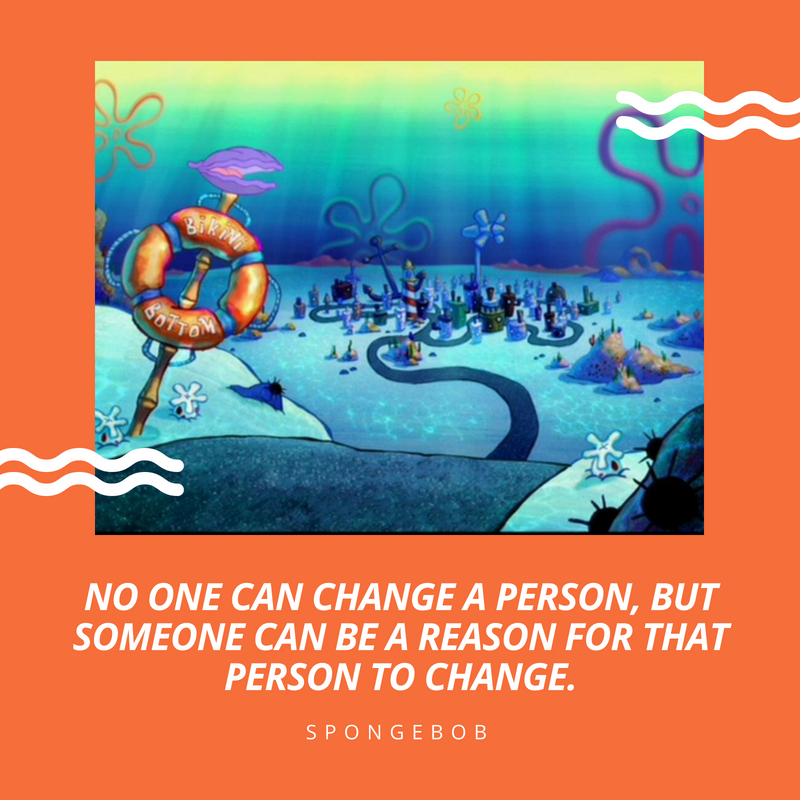 No one can change a person, but someone can be a reason for that person to change. Sometimes, we have to go deep inside ourselves to solve our problems. Home is where you’re surrounded by other critters that care about you. For kids who grew up in the early 2000’s, Spongebob Squarepants is one of the common TV shows for them. No matter the time, you will always find reruns or marathons, especially during weekends and holidays. If you are one of the 2000’s kids who watched the show and know every single episode at heart, you will find that the quotes featured here are totally relatable to your adult life.